The Cuban government’s now-ritual weekly arrests of pro-democracy dissidents continued on the last Sunday before Pope Francis lands on the Caribbean island, with more than 50 Catholic protesters arrested after attending weekly Mass. The arrests occurred in Havana following a Catholic Mass largely attended by the Ladies in White dissident group. The group–composed of mothers, daughters, sisters, and wives of prisoners of conscience–is predominantly Catholic and attends Mass in white every Sunday. They follow the religious rite with a march through the streets of Havana, often holding signs about their loved ones. This Sunday, they were accompanied by members of a separate dissident group, the Cuban Patriotic Union. Forty Ladies in White and ten allies were arrested and shipped to prison in buses, with the images showing violent treatment towards the women by Cuban officials. 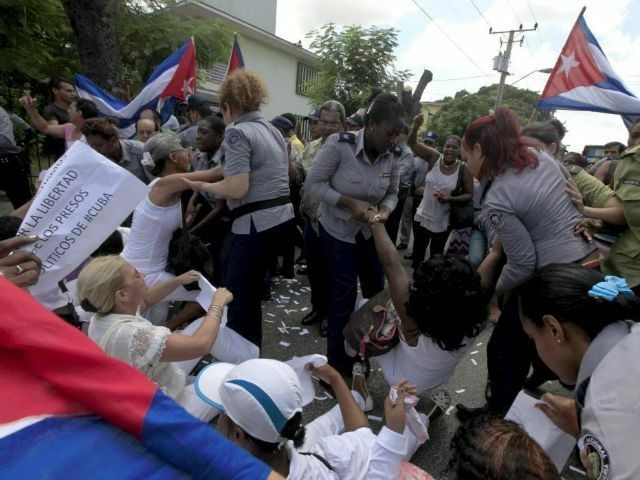 Reports claim the women were arrested for marching in an “unauthorized” street in Havana. Many were released hours later after spending time in jail. The Cuban government has made a habit of these short-term arrests, only to re-detain the same protesters the next Sunday. The Castro regime has increased its arrest activity this year in response to the increased popularity of attending Catholic Mass in silence for dissidents. This year, Cuba increased the number of political arrests by 70 percent between February and March alone. The head of the Cuban Patriotic Union, José Daniel Ferrer, echoed her sentiments: “The Church should be concerned about this or any time human rights are involved. It is their duty.” Ferrer was arrested this Sunday while marching with the Ladies in White. The Catholic Church has largely stayed out of the Cuban struggle for democracy, with Ladies in White activists growing increasingly critical of Cuban Archbishop Jaime Ortega’s silence on the issue. At least one church has banned the women from attending Mass at all, despite the local priest’s admission that they do not disturb the Mass in any way, save for wearing white. The women are commonly subjected to a number of degrading acts, including men urinating in front of them and being tarred by angry communist mobs. As an alleged gesture of goodwill, the Cuban government will release more than 3,000 prisoners in anticipation of the Pope’s visit to Cuba. 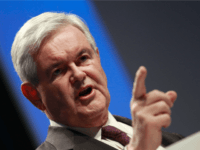 They have made clear that none of these will be prisoners of conscience–in communist terms, those who have committed “crimes against national security.” Most will be among the youngest and oldest in the prison system. Pope Francis will arrive in Cuba on September 19 and is scheduled to give Mass in Havana and the eastern city of Santiago de Cuba.